Troy moved to Austin when he was 11, previously residing in Utah, Florida, the Cayman Islands and Idaho. During this time, soccer became his passion. 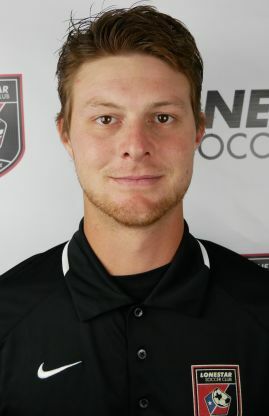 After moving to Austin he played with CCU under Coach Vic Pace, and after a few seasons, Coach Wolfgang Suhnholz recruited him where he played for the Austin Capitals before joining Lonestar Soccer. He played on the top Lonestar team for the remainder of his youth career, achieving 2 regional titles and a 3rd place national win. Troy played on the varsity team all four years at Cedar Park High School, and after graduating, he went on to play at Belmont Abbey College in North Carolina. Troy has been passionate about soccer from a very young age with a natural ability to read players and the game well. He is driven to share his knowledge with the players he works with, and enjoys facilitating their development as they grow in their skills and abilities.